Of all the places you might search for ideas and inspiration for your new innovative product, chances are you wouldn’t look in the garbage. But here’s a true story where some stale tortillas tossed into the trash led to a product that sells an approximately $5B annually. It begins exactly where dreams should begin – in Disneyland. A few months after Disneyland opened in 1953 in Anaheim California, Elmer Doolin, the found of Frito-Lays convinced Walt Disney to let him open a Mexican-themed restaurant. Walt agreed, and the restaurant “Casa de Fritos” opened in the Disneyland. Fritos were provided free to patrons and were of course featured in several of the meals. The tortillas used by the restaurant were purchased from a local food producer named Alex Foods located several miles down the street from Disneyland in Anaheim. One day, a salesman from Alex Foods was checking on inventory at the restaurant, when he noticed there were a lot of stale tortillas tossed in the garbage. The salesman suggested to the cook, that instead of throwing-out the tortillas in the trash, he should fry them and turn them into chips. And that’s exactly what the cook did going forward. The chips were seasoned, and over the next several months these tasty chips became extremely popular with Casa de Fritos customers. About a year later day, a new VP of Marketing for Fritos named Arch West stopped by to visit the Casa de Fritos, where he noticed the popularity of the chips. And after eating the chips, West thought they might be a new and successful product for the Frito-Lay Company. So Arch West pitched the idea to Frito-Lay, where the new product idea was met with disinterest. 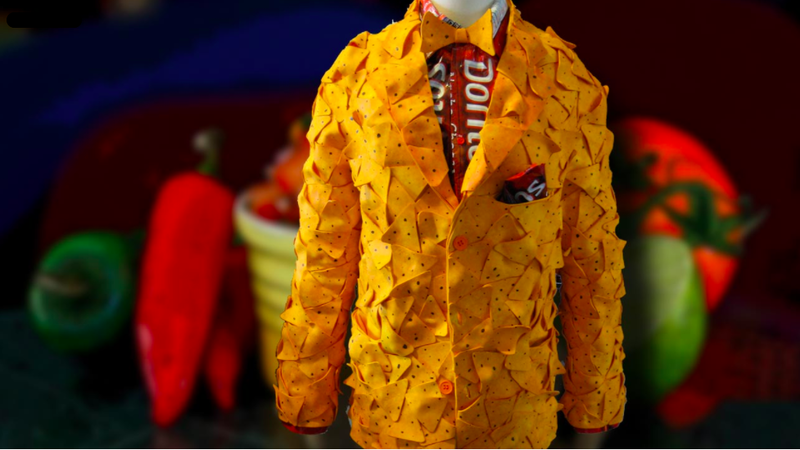 So Arch West conducted some preliminary market research that helped him validate interest in the product, and then convinced Frito-Lay to begin marketing the chips – which they named Doritos. Doritos sales are an estimated $5 billion dollars annually (here are the Top 11 Doritos Commercials of All Time), have been featured for decades prominently in Super Bowl advertisements, and in 2008 were the first ever extraterrestrial advertisement that was pulsed out over a six-hour period from a high-powered EISCAT European space station radars in the Arctic Circle while aimed towards a solar system 42 light years away from Earth, in the ‘Ursa Major’ Constellation. Not bad for an idea that originated from some thrown-out stale tortillas. Arch West loved Doritos since he first created them. His favorite flavor was the original plain Doritos chips, though he also liked Cool Ranch. His family noted that he tried a new flavor in 2011 called “Late Night All Night Cheeseburger,” but after taking a bite – spit it out. So the next time you’re having some Doritos, be reminded of its unceremonious path to the top and the lesson that there are opportunities everywhere.